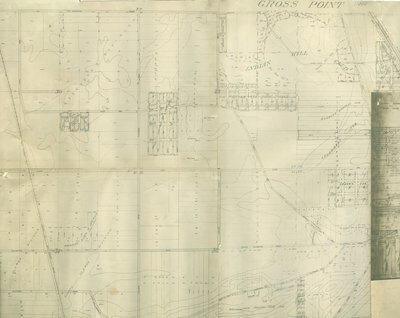 Three maps taped together showing Gross Point and Wilmette. Scanned image shows only portion containing Gross Point, Illinois. Map shows some former street names.